Dead ducks, killer sharks, excellent inmates, and more! There was a time when summer was the offseason for TV folk, a blessed three-month respite when we could read books, take a few tentative steps outside, and go to sleep with our eyes filled with the gentle reflection of a loved one rather than half a bottle of Visine. That time is long past. The summer is now in many ways more rewarding for the active television fan than the fall, as its returning cable favorites and surprise bursts of genre counterprogramming are often far superior to the creaky no-hopers lined up by the traditional networks every autumn, most of which tend to be knocked down before the first snowfall of winter. With Labor Day peeking just around the corner, hinting at all the hype and horrors yet to come (hi, Dads! ), I thought it best to look back on the hot summer now ending and consider the season’s biggest winners and its most egregious losers. Much of it was pretty but some of it was ugly. There will be duck blood. The Emmy nominations were announced in June, but Netflix — the little company that almost couldn’t, and now absolutely can — is already the biggest winner. Sure, it would be nice to actually take home a few of the 14 statuettes its programs are in contention for. But just crashing the party is more than enough reason for Netflix to celebrate. Netflix CEO Reed Hastings made a huge bet two years ago when he outbid HBO and AMC for House of Cards, David Fincher and Beau Willimon’s slithery, 26-episode ode to political nihilism. His thinking was suspect at the time but looks brilliantly prescient now. Though it took awhile to bring them to market, most cable networks were already in the planning stages of introducing their own proprietary streaming services (hello, HBO Go! See you soon, FX Now!). And Hastings, to his credit, realized he was about to find himself marooned in the razor business with fewer and fewer vendors willing to sell him any blades. The enormous outlay for House of Cards was both a canny investment in original content and a headline-grabbing announcement that the days of the red envelopes were over. It was all red carpet from here on out. And so, regardless of what you thought about House of Cards — and I thought it was OK — its nine Emmy nominations, including nods in all the major dramatic categories, justified every dollar Hastings spent on producing it. In a flash, Netflix went from being a fringey, bingey indulgence to a key player in the future of television. In fact, it may have lapped its rivals entirely: As the physical TV becomes less and less important to the TV business, most networks are now actively trying to transform themselves into the very thing they once mocked. Netflix is suddenly so much more than a way to keep children entertained while dinner is being cooked. It has successfully recast itself as something new and very much appealing: It’s a prestige streaming channel that can be ordered up independently from any cable provider. 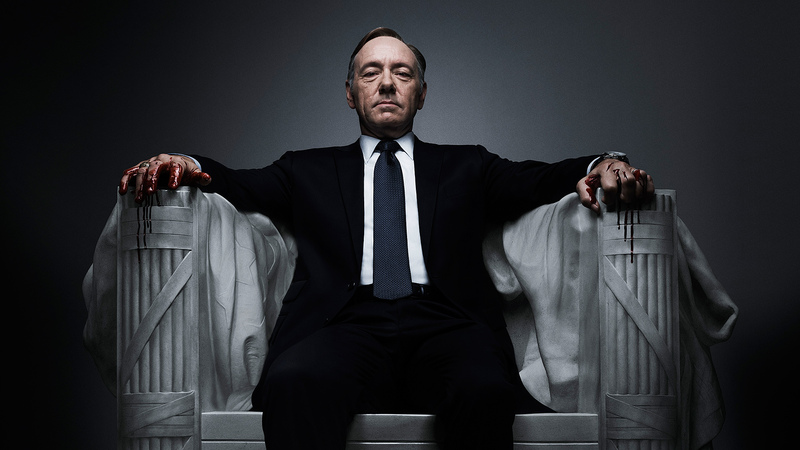 You can cut the cord, but as long as Netflix keeps things like House of Cards and Arrested Development1 stocked on its servers, viewers will see their monthly subscription fees as an essential toll on the modern media highway, not an old media cul-de-sac. But the real surprise was still to come. 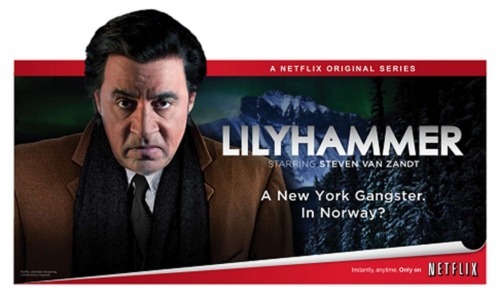 Netflix’s first forays into original programming seemed mostly intended to tick boxes and scratch particularly sensitive cases of fan itch: There was prestige appointment viewing (House of Cards), genre schlock (Hemlock Grove), heroic resurrection (Arrested Development), and frozen prosciutto (Lilyhammer). Orange Is the New Black, by contrast, arrived with no preexisting fan base, hype, or expectation. It was an oddball dramedy from the creator of Weeds set in a minimum-security women’s prison. Odds were good that the best part of it would be the Skinemax jokes inspired by the concept. Those odds were very, very wrong. The show quickly established itself as the very best of Netflix’s admittedly small stable of originals. What’s more, it basically pantsed its cable rivals in the process. While Showtime was huffing the lingering fumes of a decade of macho bluster and HBO was servicing the pricey egos of acquired tastes,2 Netflix stole headlines and thunder with a riotously unpredictable show that was at once more diverse, more exuberant, more engrossing, and more alive than anything on traditional TV. Here, finally, was a creative win to pair with the company’s recent hot streak, not to mention a glimmer of artistic light amid what had been a very savvy, if shadowy, slate. With a second season on the way and a continuing online conversation that has outlasted the usual binge-and-bust cycle of Netflix’s programming,3 it would seem that Orange Is the New Black is a success in the ratings as well but, much to its rivals’ chagrin, Netflix doesn’t actually release viewership information. But there’s no rule that says you can’t be a winner even if you’re also making up the rules of the game. But here’s the thing: The fact that we’re even getting these episodes at all is a small miracle. Just two years ago, AMC infamously tried to nickel-and-dime showrunner Vince Gilligan into settling for a fifth and final season of only “six to eight” episodes. This, in turn, led to Sony, Breaking Bad‘s studio, attempting to peddle the show elsewhere, a tactic that tends to work better as a contract-negotiating ploy than in reality. Eventually, the two sides settled and we wound up with 16 brilliant hours spread out over two summers.4 At the time, Breaking Bad‘s critical adoration had yet to translate into ratings success but, even though its recent gains are astronomical and unprecedented, AMC’s shortsightedness is worrisome. How can we trust a network that can’t recognize something worth investing in? Worse, how can we trust a network that does choose to invest in a tough-talking, empty-suit bully like Low Winter Sun instead? AMC’s attempt to genetically engineer another gritty antihero drama has blown up in its face like a cereal bowl full of fulminated mercury. Low Winter Sun is hemorrhaging viewers and is unlikely to get a renewal. With Mad Men ending next summer, Hell on Wheels spinning aimlessly on Saturday nights, and The Walking Dead a totally sui generis success story, AMC is suddenly looking at a bleak future that’s miles (and millions of viewers) away from what it had recently envisioned. It seems clear that AMC is no longer the next HBO. It can only hope it’s not sliding back into being the old AMC. Or don’t. It’s cool. Life’s short. Look, this is far from the right website on which to troll for Beantown sympathy. But after the Pesky Pole of awful that was Julianne Moore’s accent on 30 Rock, didn’t the people of Boston deserve a break? Other than Godsmack, pink Red Sox hats, and gluey clam chowder, what could they possibly have done to deserve the regional mangling on display every week on Ray Donovan? To be clear, it’s not the fault of any one would-be Wahlberg. It’s the total lack of consistency. Star Liev Schreiber purrs and slurs like he’s at least attempted a ride-along or two with the people parking cars in Harvard Yard. But he sounds like a Kennedy in comparison to Paula Malcomson and Jon Voight. When the entire, extended Donovan clan gets together, it’s even worse, the dissonance echoing in my ears like Cliff Clavin beating up Mayor Quimby with a DVD of Mystic River. I complained about the lack of legit Philly vowels in House of Cards‘s Peter Russo story line, but after a verbal train wreck like this, I’m happy to have the inimitable sounds of my childhood remain very much unimitated. Obviously none of this would matter if Ray Donovan had given us something to pay attention to other than all that non-rhoticity. But with its cavalcade of humorless, hard men taking aim at only the softest of targets — Hollywood wastrels, blinged-out athletes and rappers, yoga — the show has disappointed nearly everyone. If nothing worthwhile is coming out of the characters’ mouths, can we really be blamed for paying attention to the odd and mangled ways the words are emerging? When Breaking Bad premiered, the role of Hank seemed mostly like comic relief. The future Heisenberg’s brother-in-law was like a parody of a caricature of a cop: all macho bluster, casual racism, and beery overconfidence. The casting didn’t seem to help much, either: compact and hairless, Dean Norris appeared to be the version of Michael Chiklis that Walter White could afford on his teacher’s salary. But what a difference a couple of years and some Leaves of Grass can make. In retrospect, the brilliance of Norris’s performance — and a tribute to Breaking Bad‘s immaculate planning in general — was the way those outer layers of frivolity quickly gave way to the rock-hard minerals lying just beneath the surface. All this time Norris was playing Hank as expertly and subtly as Walt was playing him. When the time came for the two to transform from passive-aggressive frenemies and relations into totemic, Western adversaries, no one batted an eye. We’re only three episodes in to the final run of eight, but so far it’s been Norris’s grizzled, seething powder keg that’s provided the show its necessary ballast and emotional weight. There’s been lots of talk about the ricin cigarette and the M70 lurking in the trunk of Walt’s future car, but Chekhov would also have had a field day just by looking at Hank’s temples. The final act is rapidly approaching. When is he going to blow? Adding to Norris’s great summer? He’s the first member of Bad‘s beloved cast of suddenly free agents to secure a successful follow-up gig. (I’m not counting Bryan Cranston here. He never stops working.) Though CBS’s Under the Dome has quickly tamped down any initial critical positivity with its draggy story lines and, let’s face it, kind of dopey premise, the show is a bona fide summer hit and Norris’s charismatic Big Jim is a big reason why. Even if it’s a paycheck part for an actor as interesting and gifted as Norris, it’s one that’s well-deserved. Prior to 2013, Canadian actress Tatiana Maslany’s CV was littered with roles like “Girl” and “Tommy’s Doctor’s Receptionist.” Now, after a single season of BBC America’s Orphan Black, she’s achieved nerdvana. Her wildly charismatic performance(s) as Sarah Manning, the first of many wig-wearing, accent-flashing clones, has, in a matter of months, pushed her into serious discussions about TV’s best actors, not to mention catapulting her past Matt Smith, Anna Torv, and that lady from Serenity as the genre star every thinking person harbors naughty thoughts about. Orphan Black premiered at the beginning of the year, but it was during the long, hot summer that it began the inexorable push from genre websites into the bright lights of the mainstream. This is both a credit to Maslany’s acting (and accent!) chops and a testament to the continued power of the Comic-Con crowd. (And, yes, possibly a comment on the dearth of good binge-watching options these past few months as well.) So while I can’t bring myself to call Maslany’s exclusion from the list of Emmy nominees a snub — this is a show that took plugged-in critics months to warm to, so why would Emmy voters, many of whom are plugged in only to breathing machines, move any faster? — I can call it a blessing in disguise. The sheer number of think pieces and name checks bemoaning her lack of nomination — not to mention the rending of hair and garments, literal and otherwise, on certain Reddit message boards — actually did more for Maslany than the right to lose to Claire Danes in public ever could. The role of beloved, wronged cult performer is one that suits Maslany well (it’s got to be a more natural fit than that one German clone with the fire-engine hair), and it’s already landed her a guest spot on Parks and Recreation. The truth is, most television actresses, even those who were nominated, would kill to have a part as rich as a single one of the Orphan Black clones. Now the pressure is on Maslany to prove that success, like human beings, can be easily replicated. Are you telling me a clever and thoughtful exploration of complicated, non–cookie cutter young women who want to be dancers can’t survive on television in 2013? Oh, that’s exactly what you’re telling me? Carry on then. I wish I could say I saw this coming back when I interviewed the mouthy Brit in early June. But the truth is, no one did. Could an Englishman reverse the curse of 1812 and successfully usurp an American institution? Would viewers of The Daily Show With Jon Stewart accept another Jon reading them the fake news for three months? I mean, Jon Stewart’s name is right there in the title of the show! And he’d been doing it — from what I gather, to a fair bit of acclaim — for 14 years! And yet the John with the H in his name — I’m sorry, Brits, the “haitch” — absolutely crushed it during his guest-hosting stint this summer. Oliver was quick, witty, and charmingly self-effacing, none of which was a surprise to anyone who’d been watching him as a correspondent these past few years. But what really impressed was the way he rose to that other Jon’s freakishly high standards of satire: Oliver was as accurate and devastating as a sniper when it came to picking off The Daily Show‘s usual targets of media hypocrisy and political absurdity. The highlight of Oliver’s reign was his flawless, savage, and hilarious takedown of New York City’s controversial (and, now, unconstitutional) stop-and-frisk policy. While it’s scientifically true that just about anything is funnier when recited in an English accent, that’s not always the case when it comes to critiques of our national foibles. Oliver managed to walk the very delicate line between comedian and scold, improving his own long-term career prospects considerably in the process. A few months ago if you had polled Hollywood on the temporary transition, most would have said that (a) Jon Stewart is irreplaceable, and (b) wait, Oliver’s the English one, right? Now nobody is nearly so sure of (a) and no one will make the mistake of (b) ever again. Was Syfy’s Sharknado nothing more than manufactured fish food of the highest order, a cynical, intentionally lowbrow attempt to chum up the Twitter waters and get ordinarily high-minded people to feel like they were the only ones in on the joke and, in the process, do the dirty work usually reserved for jaded hacks in the marketing department? Yes. Yes, it was. One of the biggest stories of the summer was the triumphant, ratings-smashing return of A&E’s Duck Dynasty. The fourth-season premiere was — wait for it — “the most watched nonfiction series telecast in cable history.” Though I usually abstain from reality — in all senses! — even I wasn’t immune to the show’s old-fashioned, beardy charms. But if we can hit the pause button on celebrating the Robertson family for just a moment, it might be worth considering the dark flipperside to Duck Dynasty‘s cultural dominance. What I’m saying is this: What of the ducks? Look, I’m not one to talk. The only time I’ll make way for ducklings is if they’re marching straight to Chinatown. But anytime the Robertson family business is booming, the quacking population of the United States ought to start quaking. They say you can’t get anything good done in this industry without ruffling a few feathers. And Duck Dynasty‘s ascendance is bloody proof. I mean, for real. Have you seen TV recently? It’s awash in an ocean of freshly spilled blood. Broadchurch, The Fall, The Killing, The Following, Hannibal, Dexter … some are good, some are terrible, but all are overly infatuated with the very overrated art and artistry of taking a human life. If the Golden Age of television is really behind us, we are now firmly in the Silver Age of slaughter. Even The Bridge, one of the summer’s best new shows,5 fell prey to the charms of a predator: Its serial-killer plotline is the one weak link in an otherwise very strong production. The best way for a series to stay alive these days is to rack up as high a body count as possible, even though, over time, the corpses tend to weigh down both the plot and the show’s long-term potential. After all, death is often a surprise. The rot that quickly sets in afterward shouldn’t be. This article has been updated to correct the name of the Robertson family from Duck Dynasty. Has enough time passed to admit that the fourth season of Arrested Development kind of sucked? I suppose it satisfied the diehards, but I found it such a chore I couldn’t even make it to the end. There’s a fine line between metatextual cleverness and disappearing up your own annyong. Yes, I am calling Ray Donovan and Will McAvoy of The Newsroom losers. Sure, both programs are likely to be renewed, and no, I wouldn’t say this to either of their faces. But here I am, chicken-hawking it in a footnote! Your move, arrogant fictional characters! A cycle that, according to this fascinating Variety story, may actually be hurting its bottom line. As a fan of the show, I can’t actually bring myself to argue that there should have been more episodes. Even though aspects of Walt’s time as Scarface felt rushed, Breaking Bad is actually going out on a high note, without any of the stalling or padding that marked the end run of, say, The Sopranos. But from a corporate perspective, this is still a boneheaded move. AMC could have had five more hours this summer in which to sell 5 million people on its future slate of shows or, you know, on the charms of Chris Hardwick. The only reason The Bridge — which I still like and, most weeks, come close to loving — isn’t an out-and-out winner is because (a) FX has yet to renew it, and (b) the sooner the serial-killer plotline is in the rearview mirror the better. The Bridge is best at exploring the hopes and weirdness of life on the border, not the showy deaths an invented psycho dreamed up to get attention.